Tanzania is one of the richest countries in all of Africa in relation to its remarkable history and culture. Archeological remains discovered at various sites within the country date back to the earliest traces of human life, existing over three million years ago. Today, Tanzania is the largest country of those making up East Africa, stretching over 943,000 sq km and including the three offshore islands of Zanzibar, Pemba, and Mafia. Tanzania is home to a population of 55.57 million occupants, and of that number, roughly 70 percent of people live in rural areas within the country, leaving a large portion of the land uninhabited. The capital city of Tanzania is Dodoma, with a population of roughly 2.1 million inhabitants, it’s predecessor Dar es Salaam is a main hub within the country, operating as a major seaport and air gateway. The country’s mainland, previously known as Tanganyika has experienced an extensive political history, having been colonized by Germans in the 19th century as German East Africa was formed, subsequently coming under British rule following the first world war. Tanganyika gained its independence in 1961, and merged with Zanzibar Island in 1964 to collectively form today’s “Tanzania”. Over 120 tribal groups exist within Tanzania, and there are over 100 varied spoken languages, although Swahili is the National language and English is the second most prominently spoken. Tanzania is home to some of the most renowned game reserves and national parks in all of Africa, and the world for that matter. The famed Mount Kilimanjaro, Serengeti National Park, Ngorongoro Crater, Selous Game Reserve, Tarangire National Park, Ruaha National Park and vibrant Zanzibar Island are just some of the notable sites that Tanzania has to boast from its roster of natural wonders. The highest point in Africa exists within the country, as the iconic dormant volcano Mount Kilimanjaro reaches 5,895 meters above sea level. The country displays unique and varied landscapes, from grasslands to wetlands to densely forested areas and tropical beaches, the majority of the country’s land being wild and uninhabited by humans. From the vast and stretching plains of the sprawling Serengeti National Park, home to the highest concentration of game in Africa to the UNESCO World Heritage Site the Ngorongoro Crater, holding the title of “world’s largest unbroken caldera”, and home to over 30,000 animals, the combination of spectacular wildlife and geographical beauty throughout the country is exceptional. Wildlife in Tanzania is some of the most abundant and fascinating, as the country is known for its large population of elephants and other migratory animals, large cats, and lengthy list of bird species. Ready to Travel to Tanzania? game viewing destination with its large populations of lion, hyena, leopard, wildebeest, buffalo, black rhino and more. Serengeti National Park with its far-reaching plains, open grasslands and expansive blue skies is arguably the most famous park in Tanzania and possibly all of Africa in its entirety. The Serengeti’s colossal plains stretch on for 14,763 sq. km, continuing into the Masai Mara Reserve, thus the Masai people originally deemed it a word which translates to “endless plain”. Serengeti National Park is Tanzania’s oldest national park and is known for its massive wildebeest migration, the largest migration of animals in the world that happens annually with over two million wildebeest migrating each year. Along with wildebeest, the park is also home to herds of 40 other large mammal species, including zebras, Cheetahs, and lions as well as a bird population of roughly 500 species. The Serengeti is most commonly noted for its expansive and sprawling open plains, although its landscape and ecology is quite diverse as the park is comprised of swamps, woodland area, as well as grasslands. In the Western corridor, water mammals such as hippopotamus and Nile crocodile can be found. The dense abundance of wildlife within the park allows visitors to witness an array of animal species interacting in their natural habitat and is one of the most famous safari destinations for game viewing on earth. Lake Manyara is situated on the edge of the Rift Valley, beneath the cliffs of the Manyara Escarpment. One third of Lake Manyara National Park is made up of Lake Manyara itself. Lake Manyara National Park consists of diverse vegetation ranging from grasslands to swamps and lush forested areas, it is home to a range of different animals including elephants, buffalos, giraffe, impalas and wildebeest. Along with these animals, the park is also known for its large population of flamingos that line the edges of the lake, a natural spectacle of vibrant congregation. Lake Manyara National Park is also home to more than 400 species of birds, making it a bird watchers delight. There is a specific area within the park that contains a hippo pond that allows visitors to view these animals in safety while stepping away from their car. The park is also home to a population of lions who enjoy climbing and sleeping in trees, a unique attraction for visitors to witness. Tarangire National Park is a safari park that stretches for 2,600 sq. km and is home to a variety of wildlife and natural spectacles. The park was named after the Tarangire River which flows through its land and functions as a main water source for the animals that congregate there. The park is situated in the Manyara Region and is most widely known for its significant elephant population and migratory animals. The Tarangire landscape consists of river valleys and swampland, these swamps often allowing visitors to experience intimate viewing encounters of the elephants that converge there. Tarangire is most easily recognized due to its many acacia and baobab trees that are scattered throughout the park. Giraffe, leopard, cheetah, lion, wildebeest, and roughly 550 species of bird can be found within the park. Annually, during the dry season, large populations of up to 300 elephants can be found roaming the land in search of water. The Selous Game Reserve is the largest game reserve in Africa, stretching 45,000 sq. km. The reserve consists of a diverse landscape comprised of forested and mountainous area, expansive fields, rivers and flood plains. The Rufiji River runs through the reserve and is home to many fish species and aquatic wildlife. Selous Game Reserve has a high population of a variety of animals including giraffes, elephants, black rhino, leopard, crocodile, hippo and 440 known bird species. The park is also noted as being one of the most significant sanctuaries for the dwindling African wild dog population. Although the reserve is known for having high counts of wildlife, Selous sets itself aside from other parks and game reserves as its isolated location and extensive, un- touched land allows for visitors to experience a truly authentic and wild African safari. Katavi National Park is the third largest national park in Tanzania and is known for its diverse and wild habitats, along with its remoteness. The park consists of grasslands, woodlands and swamp areas and is said to be home to roughly 50 different species of animals. As the park is located on the most western side of Tanzania, the numbers of visitors that the park receives annually is low, making it a lush and vibrant, un-touched spectacle teeming with wildlife and perfect for a unique game-viewing experience. Hundreds of hippos and crocodile can be seen converging at mud holes in the landscape, found during the dry seasons. Large herds of wildebeest, zebras, elephants and more can be also be found roaming the park during the dry season. Ruaha National Park is Tanzania’s largest national park, spanning 13,000 sq. km. The park is known for its beautiful landscape, varying from wetlands and natural hot springs to sprawling plains and mountainous area. Ruaha National Park was named after the Ruaha River which runs through its land into the Rufiji River. The landscapes of Ruaha National Park vary from thick and dense forest brush to wide and open land. The park is often viewed in comparison to its neighbour Selous Game Reserve, as a wilder and more secluded version. The park is home to an array of animal species, including Africa’s largest population of lions as well as cheetah and African Leopard. In its wet season, an abundant floral variation can be seen throughout the park, as over 1,650 plant types have been spotted. Dar es Salaam is the largest city in Tanzania with a population of roughly three million occupants. As this number continues to increase, it is also considered one of the fastest growing cities in the world. Dar es Salaam is a unique and vibrant city, as it is comprised of a variety of Indian, African and kian cultures and influences. It is the cultural hub of Tanzania and the center for all things fashion, media, television, and art related. 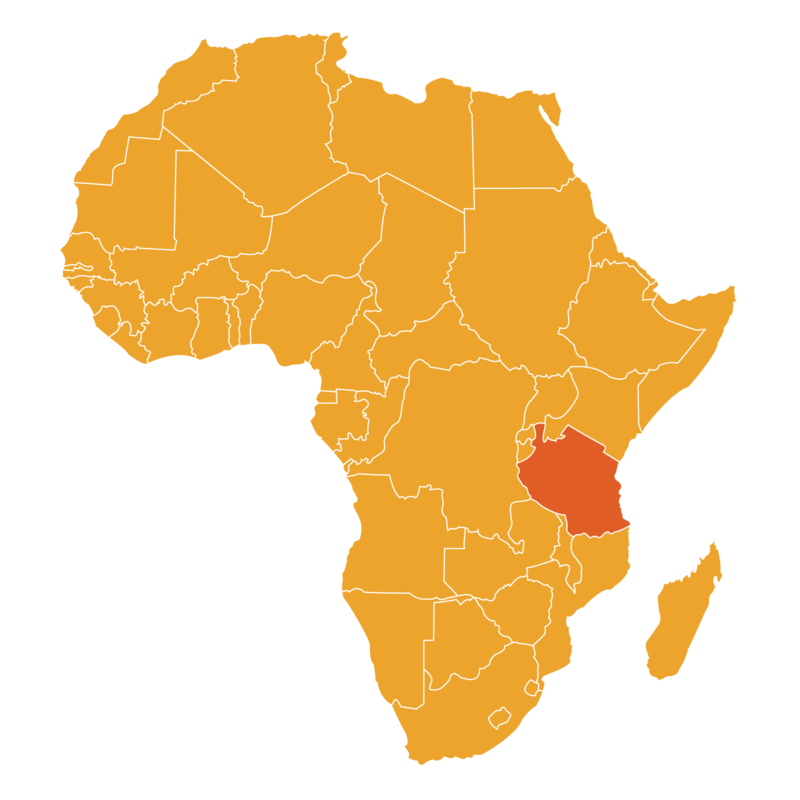 Swahili is spoken throughout Dar es Salaam, making it the largest Swahili speaking city in the world. The city displays beautiful architecture as it has many colonial era buildings and 20th century art deco structures. From nightlife and cuisine, Dar es Salaam boasts some of the most diverse entertainment in East Africa. Zanzibar is a group of islands located on the Swahili Coast. It consists of many small islands and two main islands, Unguja Island (commonly referred to simply as Zanzibar), and Pemba Island. Zanzibar is a fascinating multicultural hub, as there are strong influences of Persian, Indian, European and African culture throughout the state. Zanzibar, having been one of the most visited and significant trading centers in East Africa for centuries throughout history, remains a destination that is continually traveled to by visitors from all over the world. Zanzibar City, also referred to as Zanzibar Stone Town, is the capital of Zanzibar and consists of historic and beautiful coral stone buildings and architecture. Stone Town was declared a UNESCO World Heritage Site in 2000 and continues to attract visitors from all over the world, consisting of lively bazaars, shops and mosques. Zanzibar islands are often referred to as the ”spice islands” as they are known for their cinnamon, cloves, black pepper, and nutmeg.